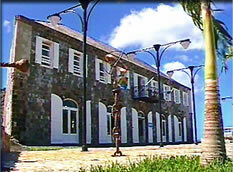 The Municipal Museum of St. Barth holds its importance from the fact that it houses the first collection of objects and documents. It contains the largest concentration of sociological, ethnic, economic and natural data of the Island. An initiative of a single man with a passion: Ingénu Magras. His Inter Oceans Museum opens the gateway to the ocean floor and invites you to marvel at the wonders you will discover.